With the National Hockey League’s 30 general managers currently meeting in downtown Toronto to discuss changes to rules and policy, I figured I’d take the opportunity to chime in with my two cents. Times 10. My 20 cents, if you will. Extending overtime is already on the table as the GM’s try to cut down on the number of shootouts, but I wanted to voice my support for this idea. Right now, the extra period is just five minutes of 4-on-4 followed by the shootout. OT is the tensest period of play in any hockey game with each penalty, missed pass or deflected shot putting the game on the line. There’s been a lot of talk of having five minutes of 4-on-4 and then five of 3-on-3. The former doesn’t really strike me as too interesting - I don’t see why they couldn’t just do 10 minutes of 4-on-4, or, what the hell, a full 20 minutes of 4-on-4 followed by the shootout. It’ll still cut down on the number of shootouts and will create more tension and therefore more excitement. Fans tend to enjoy excitement. As I’ve mentioned before, my fiancée Katy and I are a mixed couple – I’m a Leafs fan and she supports the Oilers. It makes for the occasional tense moment, but what really aggravates things is that we can only watch the Leafs and rarely the Oilers thanks to the NHL’s ridiculous TV blackout rules. This regulation prevents anyone with a standard cable package from watching an out-of-market hockey game. In other words, although Sportsnet West was carrying the Edmonton-Carolina game last night, we could only watch the Toronto-Tampa Bay match or the Washington Capitals-New York Rangers game. I understand the original reasoning behind this rule was to keep fans interested in their hometown markets. I think we can all agree that the National Football League is the best run professional sports league in North America and arguably the world. 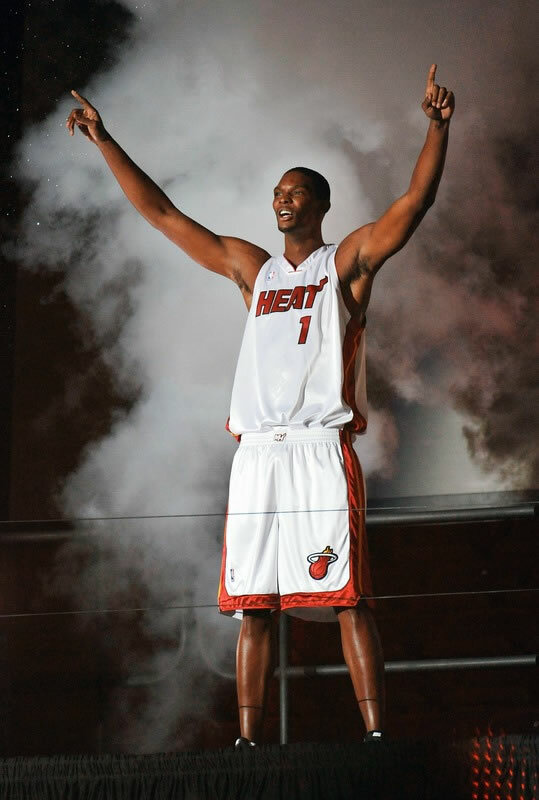 So why not tear a page out of their playbook and embrace fantasy sports? In addition to showing the scores from games, the NFL runs tickers of the top five stat lines from each position during their Sunday broadcasts. That running update on the individual success of its players is aimed straight at fantasy football managers eager to see how their personal team is doing. The NHL should do likewise: run a ticker with the statistics of the top five forwards, defenders and goalies each and every broadcast night. Clamping down on vague “lower body injury” reports would be a good idea as well. Force the teams to reveal more details about their hurting players for the benefit of fantasy hockey managers. Anything to make fantasy hockey more accessible and enjoyable. This has long been a bugbear of mine. During games broadcasters will happily tell you how many shots a goalie has faced. That’s all well and good, but not all shots were created equal. A shot from the slot is a lot more dangerous than one from the blue line. Hockey broadcasts should show where on the ice players are shooting from and where they’re going on net. 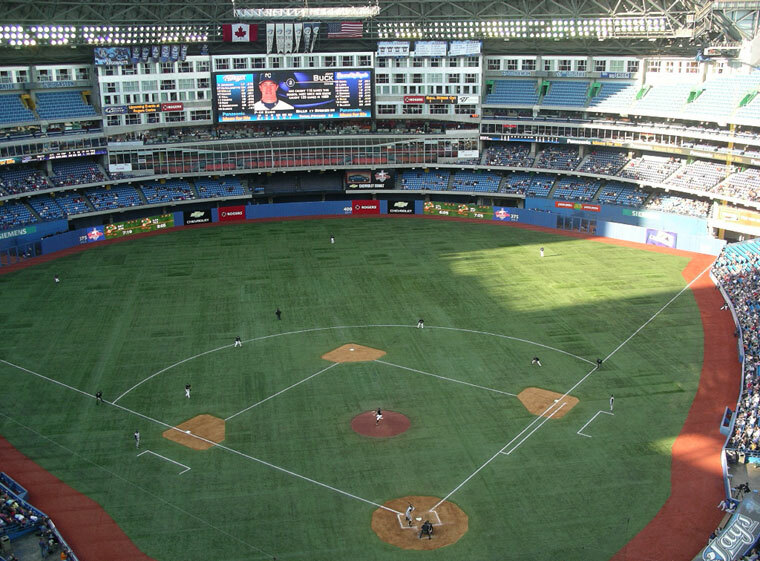 The technology is already there – Major League Baseball can track the trajectory of pitches and the National Basketball Association regularly shows where players shoot from on the court. Both concepts should be applied to hockey. It would really help viewers understand the underlying strategies and tactics within a game as patterns begin to emerge in shot selection and location. Is the defence successfully pushing forwards to the outside? Are they giving up a lot of breakaways? Is the power play unit feeding to the rearguard for big shots, or working it down low? Are shooters trying to pick top corners, or shooting along the ice for big rebounds? It would really add more depth and understanding for the average viewer. No touch icing is an easy - and obvious - way to avoid scenes like this. The favourite hockey cause of the CBC’s Don Cherry, no touch icing is an idea that is long past due. With increasing concerns about head shots and concussions, why is the NHL persisting in having a rule that routinely has two players racing the full length of the ice toward unforgiving boards? Just take it out of the game already! The NHL has a lengthy and rich history, particularly amongst its storied Original Six franchises. Unfortunately, thanks to their current playoff system, many of the oldest rivalries in the game will never be put on the league’s biggest stage: the Stanley Cup final. The Montreal Canadiens and Toronto Maple Leafs, the biggest and best feud in all of hockey will never play with the NHL championship at stake again. Neither will the Chicago Blackhawks and Detroit Red Wings or the Habs and Boston Bruins. My solution is actually an old idea: have the top 16 teams in the league in one playoff pool. President’s Trophy winner will take in the 16th seed, the other conference champion will take on No. 15, and so on. It’s how the playoffs were structured in the 1970s and 80s, and it’ll work again today. Other than the MLB, there is no major North American sport that has as rich a history as the NHL. Unfortunately, commissioner Gary Bettman clearly sees this as a weakness and tries to cover up or even undo a lot of the league’s historical underpinnings. By shying away from that history it makes the NHL seem like a new, fly-by-night operation, particularly when franchises are being parachuted into Sunbelt markets that are unfamiliar with the game. The NHL should embrace its past with throwback jerseys, prominent marketing of its namesake trophies (like the Lady Byng) and make sure to compare today’s stars with some of the legends of hockey. History and tradition are strengths, not weaknesses. Look, I’m all for innovation. I’m not some Luddite who poo-poos every new idea. But let’s get real: two-piece hockey sticks break a lot more than good ol’ fashion wooden sticks. Not only is this dangerous to players, linesmen and potentially fans, but it slows down the game as the remnants of that $200 fibre composite is cleared off the ice. If an all-wooden stick was good enough for Al MacInnis’ record holding slap shot, it’s good enough now. I don’t actually think that the Sun Belt expansion was that bad an idea. New markets and new fans really can work. It just wasn’t done right. The NHL should take the time to invest in amateur hockey at the grassroots level because those are the fans – and players – of the future. Amateur hockey would help educate parents and kids about the sport and create an instant niche market of coaches taking their teams to games. 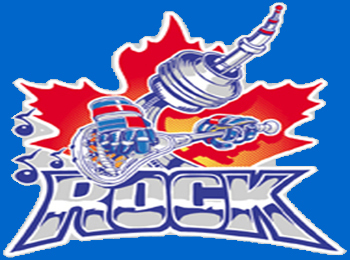 When moving in to Phoenix, Miami or Atlanta the league should have set up minor hockey systems to introduce those cities to the sport. Obviously, that ship has sailed, but it might help with some damage control if they got local kids involved in the game. This was, of course, a hot-button debate at the World Hockey Summit this summer, but it’s worth mentioning again. 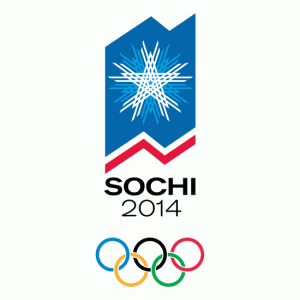 Bettman and co. must let NHLers play in the Olympics, and they should make that announcement sooner rather than later. Why? Because although the Stanley Cup and the Winter Classic do a great job of raising hockey’s profile, nothing does a better job of exposing the sport to the masses like the Olympics. Nothing. This year’s men’s hockey final between the United States and Canada was the most watched hockey game, ever. It drew 44.2 million viewers across North America and was the main event of the two week sporting event. The NHL would be foolish to give up that kind of mainstream media attention. Bettman should make the announcement soon as well and what better place than this year’s newly reformatted All-Star Game? What do you think? 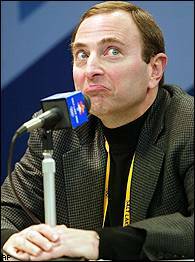 What ideas do you have for the NHL GMs? Post them in the comment section below. 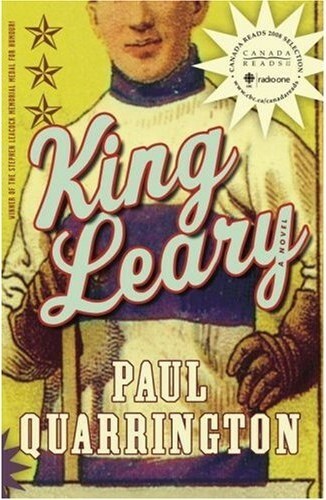 Paul Quarrington’s novel King Leary is a funny, insightful look at the world of professional hockey in the early 20th century that would be enjoyable for fans of the sport or someone looking for a quick read. Published in 1987, Quarrington’s tale won the Stephen Leacock Medal for Humour in 1988 and was shortlisted for that year’s Trillium Book Award. It regained prominence in 2008 when the Rheostatics' Dave Bidini championed it for the CBC’s Canada Reads program. Bidini’s campaign saw King Leary become a best-seller and win the award 10 years after it first appeared on book shelves. Narrated by Percival “King” Leary, one of the greatest professional hockey players to ever live, the story follows him as he travels from his retirement home to Toronto to shoot a ginger ale commercial with Duane Killebrew, the National Hockey League’s current scoring champion. During the trip Leary recalls how he learned to play while at reformatory school and his complicated friendships with Clay Bors Clinton and Manfred Ozikean. He also touches on the fractious relationships with his sons Clarence and Clifford, as well as his wife Chloe and her sister Jane. 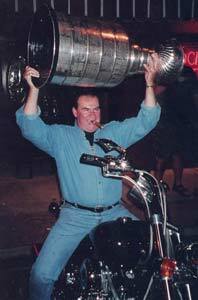 For the reader less familiar with hockey, King Leary will entertain with its amusing anecdotes and poignant moments. Quarrington is a masterful storyteller, subtly hinting at darkness that seeps into an otherwise humorous narrative. Literary minded hockey fans will appreciate his nods to the major figures in the game’s lore. Quarrington works in several real-life legends of the game like Georges Vezina and Eddie Shore. At the same time, many of the characters are clearly based off other historical figures. Clinton is a mix of Conn Smythe and Harold Ballard. Killebrew is clearly meant to be Wayne Gretzky, with a passing reference to a player “down in Pittsburgh” that hints at Mario Lemieux. 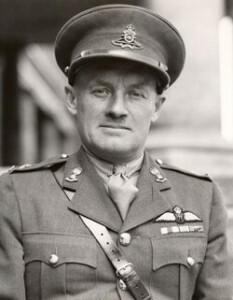 Leary himself resembles a number of players, especially Toronto Maple Leafs great Francis Michael “King” Clancy. The one disappointing aspect of the book is that although Quarrington is deft at the characterization of all of the main characters, supporting characters like Leary’s nurse Iain or the advertising executive Claire are painted with an extraordinarily broad brush. Their dialogue seems forced and unnecessarily flamboyant to the point that their characters are a distraction that clutters the page. Aside from that, King Leary is a fine story. A quick reader could blow through Quarrington’s work in an afternoon, and would enjoy it regardless of their attachment to Canada’s favourite game. Definitely worth picking up. 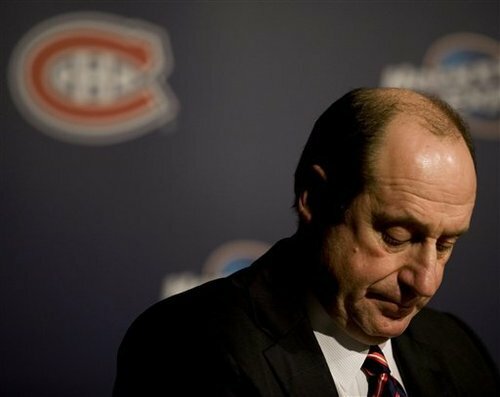 Bob Gainey resigned from his position as general manager of the Montreal Canadiens Monday afternoon, making way for interim GM Pierre Gauthier. Say what you will about Gainey’s tenure as the boss in Montreal - and many people have - I think we can all agree that the timing could not be worse. The Canadiens are currently in sixth place, at the top of the Eastern Conference’s playoff log jam. They’re one point ahead of the Philadelphia Flyers and the Tampa Bay Lightning, and, incredibly, just 13 points ahead of the last place Toronto Maple Leafs. With 22 games left in their season, anyone could overtake Montreal. The East is wide open. As unlikely as it seems, even Toronto could wind up in the postseason. Between now and the playoffs there is also a little event called the trade deadline, where the Habs will undoubtedly be looking to move one of either Carey Price or Jaroslav Halak. Also, prized centre Tomas Plekanec is entering into negotiations to sort out his contract for next season. Otherwise he’ll be an unrestricted free agent, able to sign with the highest bidder. This is the time for a strong leader, one who can represent the franchise and present themselves as a powerful figure who has the support of ownership. Gauthier may be a canny negotiator, but the word “interim” in front of his title will be a handicap. GMs from other teams will try to fleece the Canadiens for Price and Halak, knowing that Gauthier must move one of them and that he is only in charge by default. Don’t believe me? Ask John Ferguson Jr. what it’s like to try and work deals without the full, vocal support of your ownership. Ask Cliff Fletcher what it’s like trying to swing a trade when you’re just an interim GM. Further, Plekanec’s agent will have a hard time taking Gauthier seriously. There’s more than just money at stake when you sign a free agent. They also want to be on a winner. Since Gauthier will probably be relieved of his duties in the off-season, he can’t make any kind of guarantee of what the team will look like in the 2010-11 season. He stinks of lame duck. That cannot be appealing to the Plekanec camp. During Monday’s press conference Gainey said he had to leave because he couldn’t take the day-to-day grind of being a GM any longer. That may be so, but he’s left his team in the lurch. 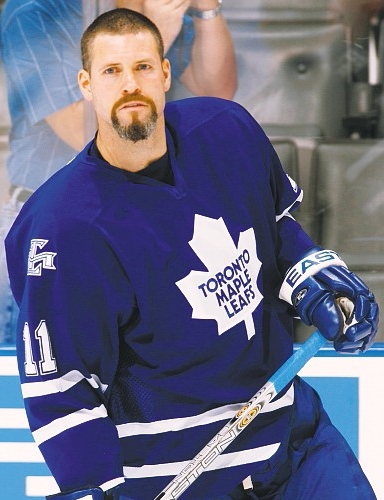 If he could have bucked up until the off-season, he would have broken ties with the Canadiens at an optimal time. Instead, his departure might distract the Habs during their playoff run and will undoubtedly hinder personnel negotiations.